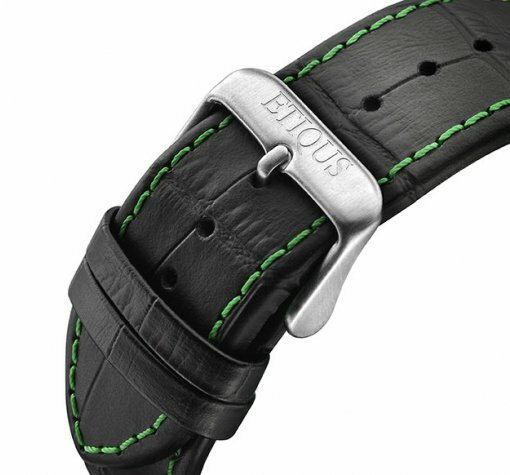 I like the green stitch detail on the black leather strap. 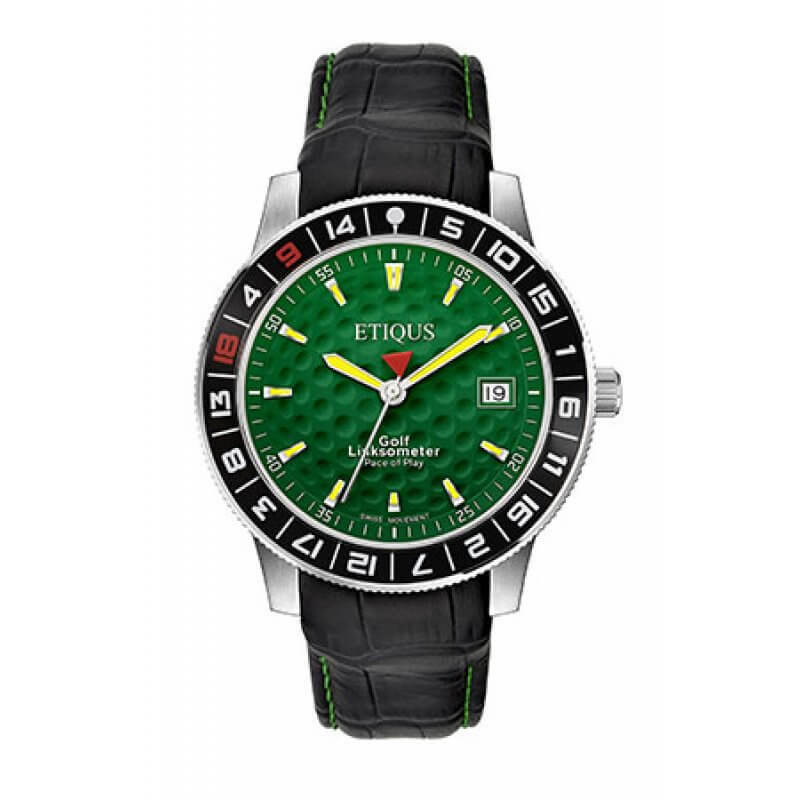 Patented Golf timepiece featuring high grade stainless steel case with sapphire crystal glass and black croc textured leather strap with green stitch detail. 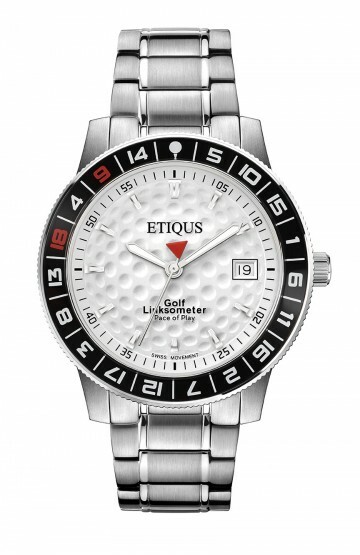 3D Golf Ball effect dial with applied NON-luminous inlaid hour markers. 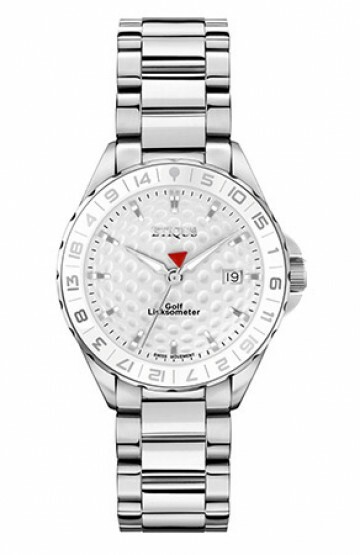 Swiss Quartz big date movement and rotating ratchet bezel with Golf Linksometer markings. 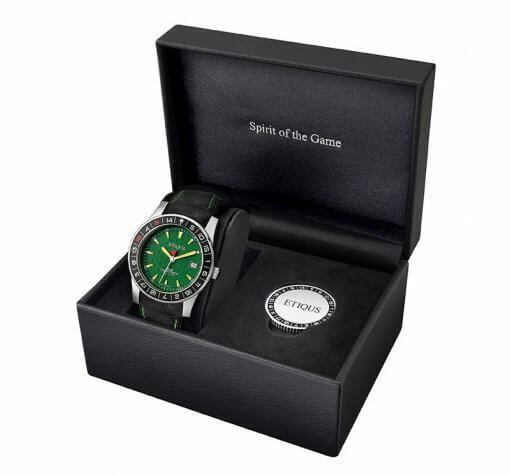 Presented in attractive gift box. 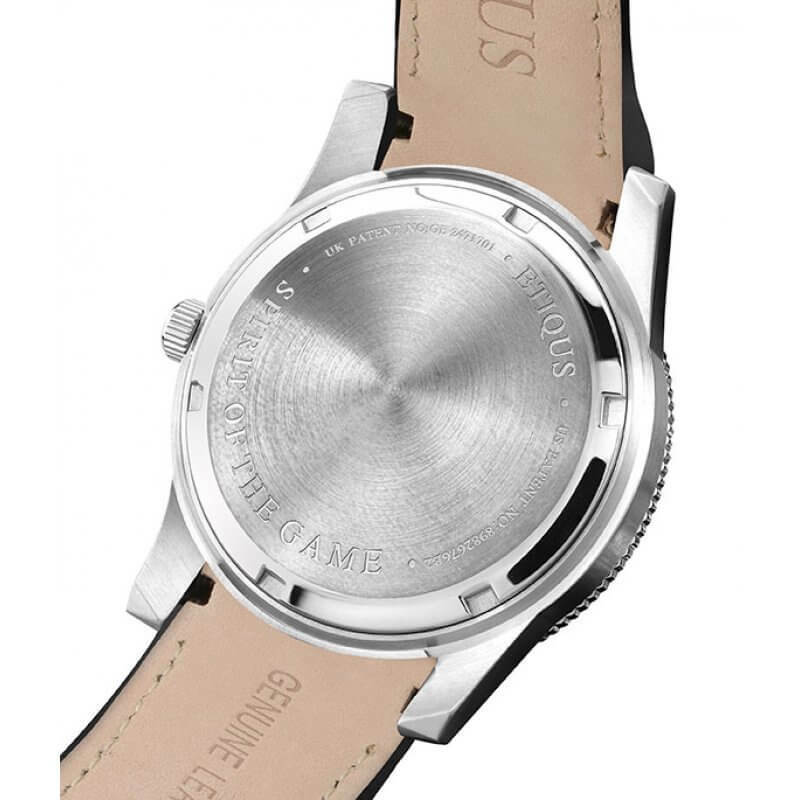 5 Striking timepiece with Swiss movement and a bit of "je ne sais quoi"! Will attract interest and attention. 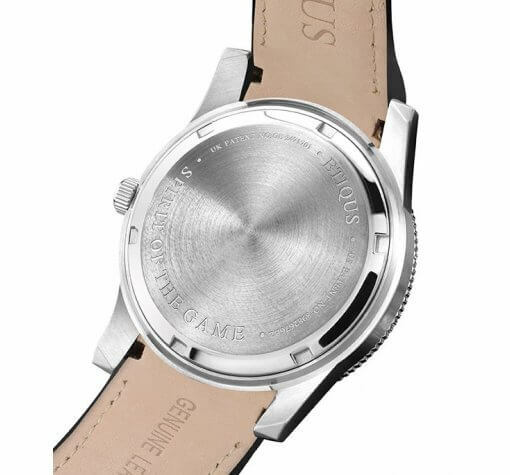 Can be worn casually or formally. 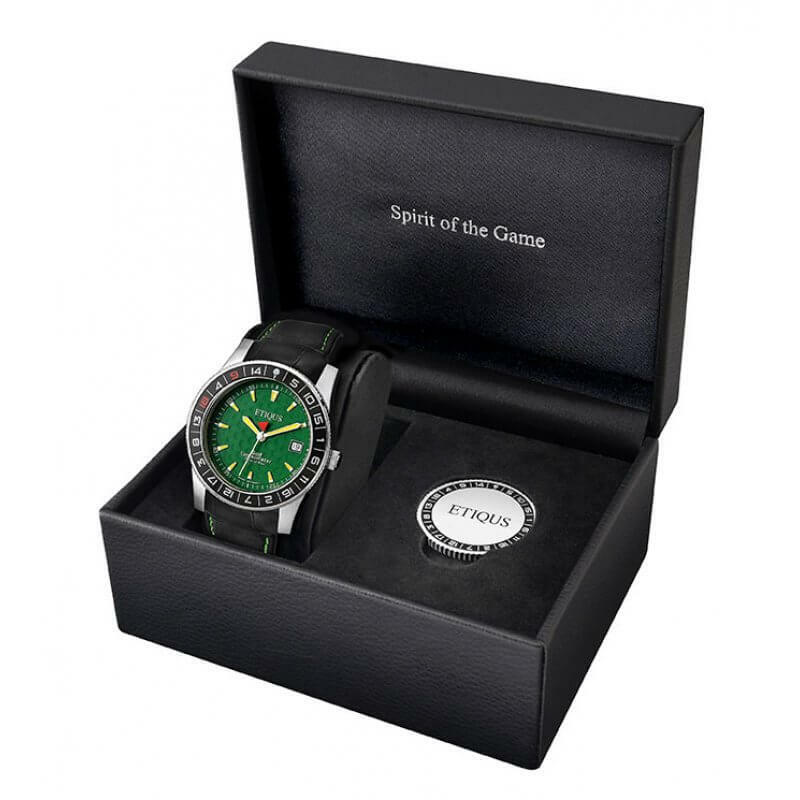 5 Very well presented and the packaging gives you a good idea of the quality of the watch and the thinking behind it. 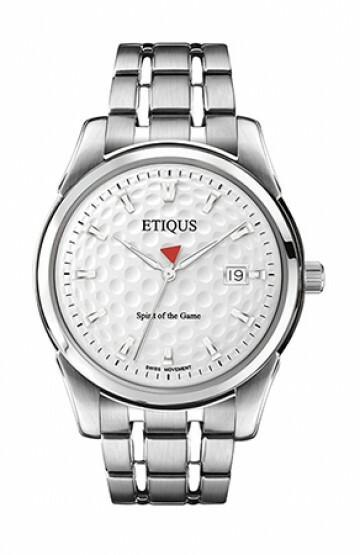 The watch has a large easy to read face with golf ball style dimpling look about it but also has a nice compact feel. 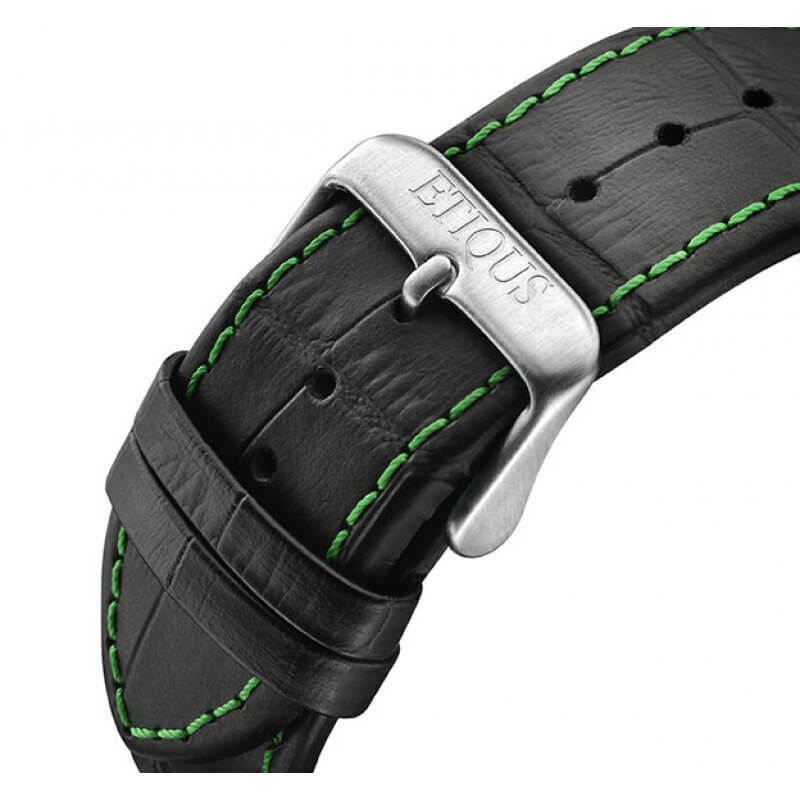 The quality of the leather strap is excellent with matching coloured stitching is also well manufactured. 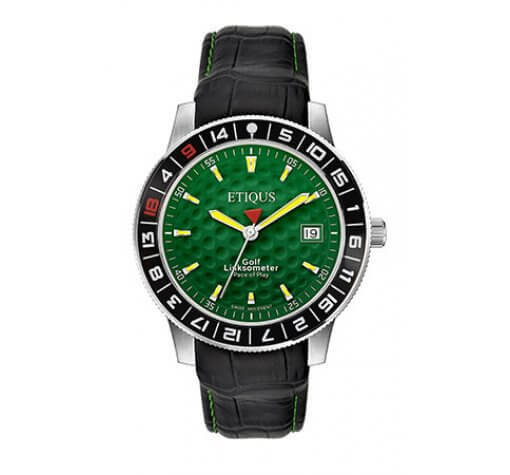 Would on first impressions recommend this watch, however long term usage will be the true test having just received the watch. 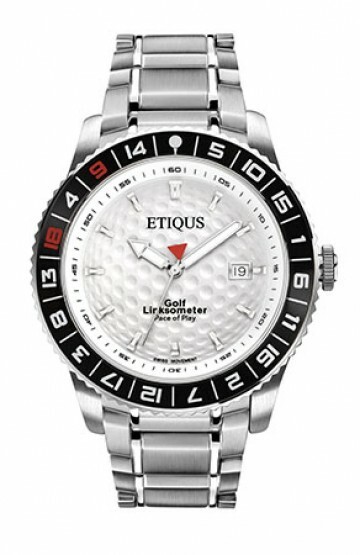 5 This watch is ideal! 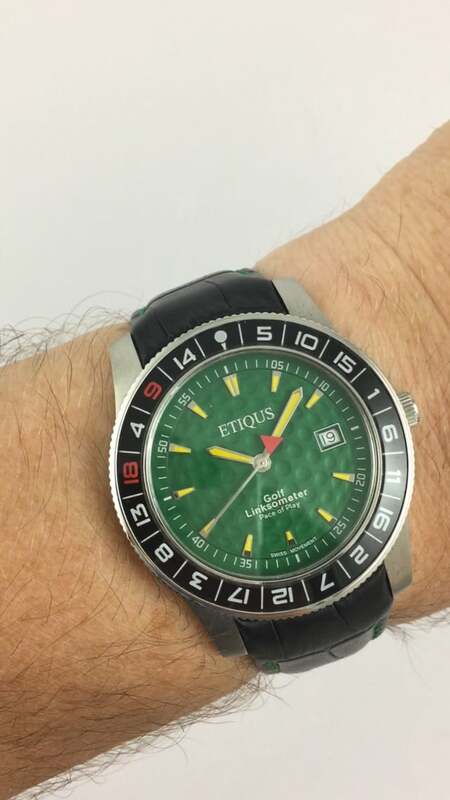 Definitely recommend it and it's crafted by a great bloke with brilliant customer service. One of the best reasons to deal with this company.